Our primary concerns are the understanding and long term preservation of our carved heritage. This is achieved through careful analysis, assessment, treatment and provision of advice for future care. Each case is considered individually. Treatment proposals are made based on condition, proposed usage, environment, context and the clients' requirements. After thorough investigation and analysis we can provide detailed condition reports, treatment proposals and estimates. Treatment may typically include consolidation of unstable surfaces, timber consolidation, structural repairs, cleaning and replacement of missing carving and surface losses. 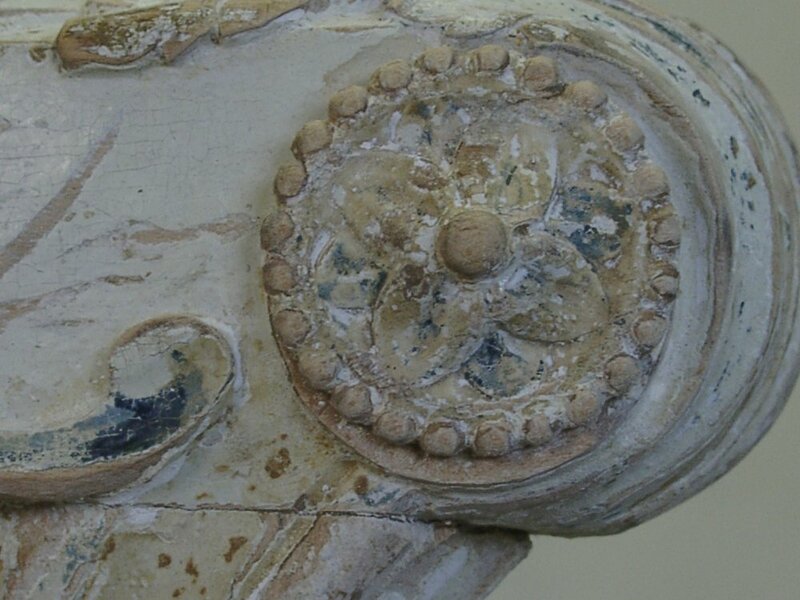 After conservation, if replacement of missing carving or surface decoration is required, our work aims to be historically correct and matching the original in style, quality and finish. We have an excellent reputation for our attention to detail and the subtleties of our finished surfaces. 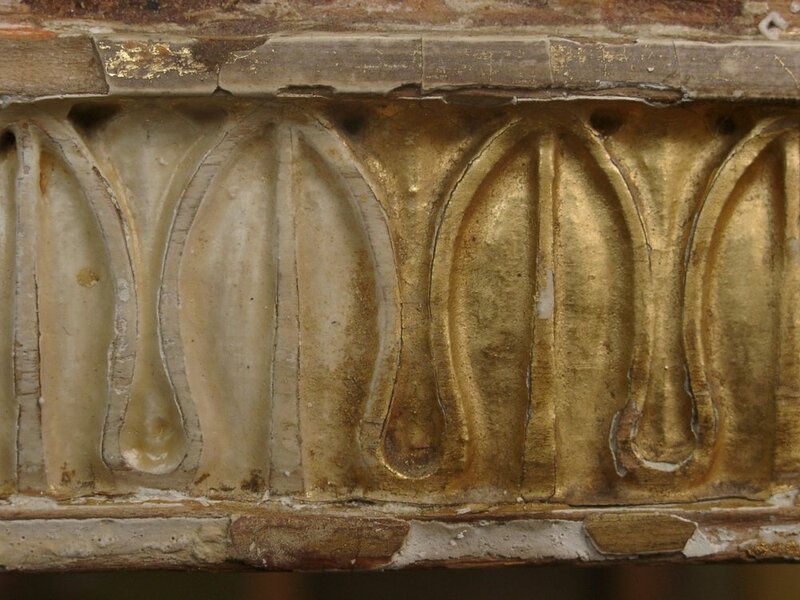 Traditional materials and techniques are mostly used as these tend to be reversible and more compatible with original and historical surfaces. All replacement and other work undertaken is recorded. Non-traditional materials and methods may be considered, especially in particularly difficult cases, for example if the original materials are badly degraded. In these cases materials are chosen on the basis of compatibility, stability and reversibility. All work carried out is thoroughly documented. If required, we will provide records of the treatment, materials used and any historical evidence found. Further supporting archival documentation, analysis, final reports and photography can also be provided. Photos of the chairs are in sequential order beginning with the removal of later gilding to the final painted finish. After samples were taken and analysed, the original painted scheme was carefully uncovered.